Get out and about and make the most of Roker with our guide of things to do in the area. We know that many of you are as excited as we are for the reopening of the pier and the start of the pier and lighthouse tours. While we add the finishing touches to the ongoing construction work, we thought we would give you some inspiration for things to do in and around Roker. Everyone loves a day out at the seaside and Sunderland’s Blue Flag beaches are ideal for a bit of coastal fun. If you enjoy building sandcastles, you will love the golden sands of Roker beach - and the sea provides the perfect place to paddle. No visit to the beach is complete without an ice cream so a visit to Pier Point is a must. Located right on the beach, there are a range of cafes and restaurants to choose from. 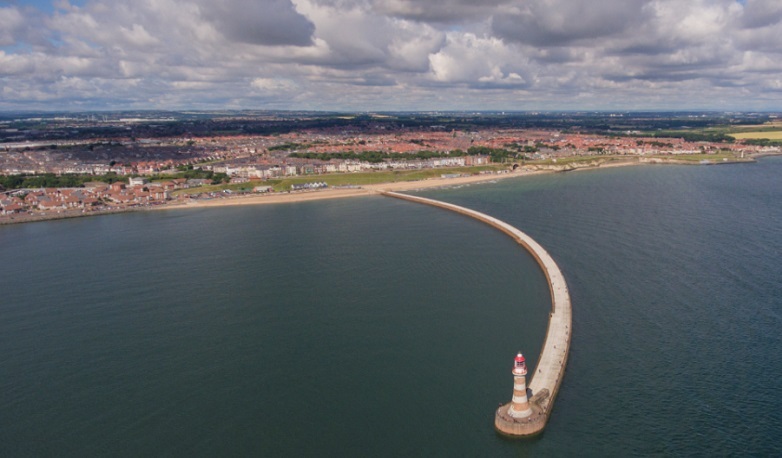 Situated on the coastline, Roker Park has almost seven hectares of leisure features including a model boating lake, a model railway, children’s play areas and more. The park even plays host to theatre productions and is home to the fascinating ‘smugglers caves’. Spend a bit of time exploring the Cannonball rocks- unique geographical structures which can only be found in certain parts of the world. The interesting rugged limestone rock formations and cannon ball-like rocks were the inspiration for the oak-clad mobile eco pods which can be found at Roker beach. Built between 1906 and 1907, St Andrew’s Church was built to serve the growing population of Roker. Inside the church, you will find William Morris carpets, Ernest Grimson furniture and a stunning painted ceiling which depicts the creation of the sun and stars. Sunderland has a long and fascinating history of glassmaking spanning back to 674 AD when the city’s patron saint, Benedict Biscop commissioned French glaziers to make a stained glass window for his monastery in Monkwearmouth. With daily glass blowing demonstrations, the National Glass Centre is the perfect place to learn all about glass. Don’t forget to end your visit with a walk on the glass roof of the centre - look down if you dare! We hope that we’ve inspired you to get out and about and make the most of Roker and all it has to offer.